Some 250,000 tons of Nutella are now sold across 75 countries around the world every year, according to the OECD. But that’s not what’s amazing about it. 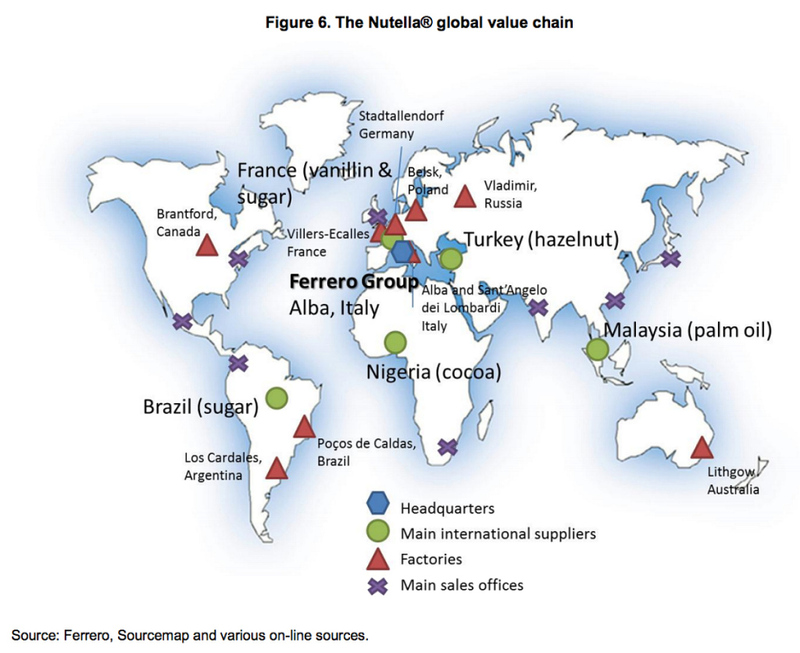 Nutella, it turns out, is a perfect example of what globalization has meant for popular foodstuffs: Not only is it sold everywhere, but its ingredients are sourced from all over the place too.